WHEW! GDC 2015 is over and it was a whirlwind of experiences! Rather than wait until next year to compile my notes, I thought I’d share my insights while the memories are fresh in my mind. If you attended GDC in the last few years, you are aware that the trend was away from console games and towards mobile games. 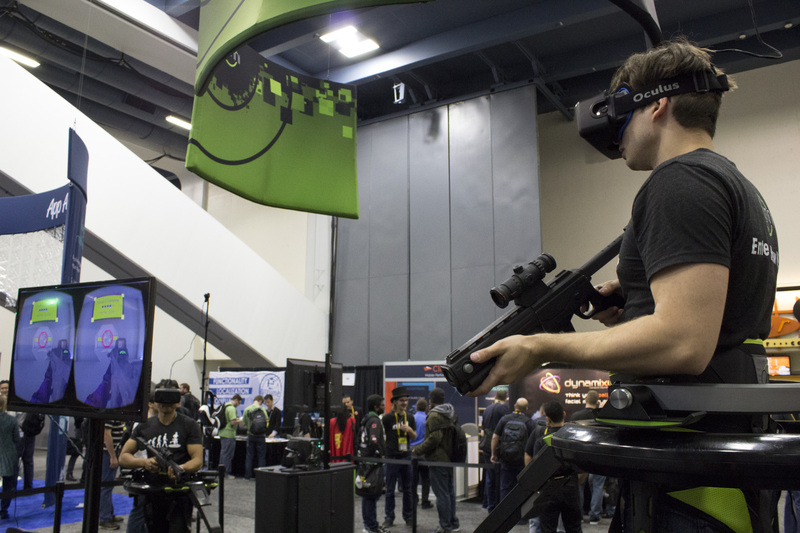 This year, considering about 30% of the expo floor was VR based, the trend was clearly towards VR gaming. There were many companies demonstrating their VR tech. Some demos had the ability to walk around as you played the game. 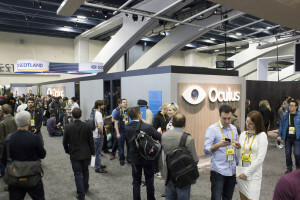 Oculus was out showing off their demos using samsung headsets as well as private demos. The mobile headset was a jetpack simulation that was actually much better than one would assume. As you got higher you could feel some fear from the sense of height take over your amygdala! Their private demos led you into a room where you had the freedom to walk around in a 3’X3′ space. The scenes they loaded included looking off of a skyscraper to the ground, watching a metallic engine room falling apart, and a t-rex showdown. The grand finale was a Smaug demo that put you right in the middle of the Hobbit! This was the first demonstration that actually made me realize how compelling it is to see the 3d dimensions of a space. You felt like you could actually reach out and touch Smaug as he discussed killing you. However, there are two huge drawbacks to the VR I experienced… The controls and the body feedback. Every demo had very poor controls. Moving your head in a 3d space while attempting to use old school gamepads doesn’t work well at all. It is a jarring experience. Also, without being able to see your arms it feels like an incomplete experience. A few companies are developing IR tech so you can see your hands and arms in game and I think that will help ground the experiences. Sadly, I didn’t get to demo Steam VR, but I’m told it was by far the most complete VR experience to date. 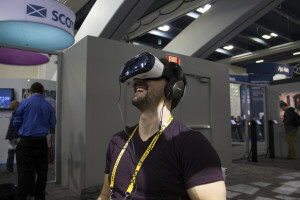 It is an exciting time to be in Game Audio as VR is taking off. VR will require audio to be more accurate and use binaural/HRTF in order to sell the 3d spaces more accurately. Fortunately, many of the challenges of VR audio are challenges we’ve already faced in the past. The biggest new challenges are based around how to effectively portray the dimensions of the 3d spaces and objects in those spaces through headsets or home stereos. One new challenge is voice limitations of HRTF calculations. Most systems had a limit of around 16 objects that can be tracked in real time without latency. This means that only 16 of all the sounds playing can be processed through HRTF. To do this, they typically rely on users setting priorities to the sounds so only the necessary sounds are using the calculations. Prioritization is far from a new concept in our industry though and this should be easy to figure out by user priority, volume or distance. I could see it tying in to an HDR audio system quite easily since the priorities may be similar. Dolby is rolling out their Atmos technology. This system uses existing 5.1 and up systems and augments them with “upshot speakers” and firmware updates to give height and depth information to any consumer set up. Their demo is very cool and they are even working on headphone technology. Imagine playing a first person shooter and correctly pinpointing EXACTLY where a sniper was shooting from JUST by using audio… Yeah, that’s a pretty cool future for audio tech! Another technology for audio in VR is called Ambisonics and it has been around since the 1970s. It’s an object based audio system with height and depth information. I had a long conversation with Anton from the Game Audio Podcast about it and he felt it was the most convincing system he had heard yet. These object based audio systems are far from a new concept, but with the prevalence of VR in gaming they finally have a real world application and like a huge user base to adopt them! An issue with HRTF in non-vr settings is that fast mouse movement is very jarring and awful. It seems very important that HRTF is limited to head speed movement or it risks feeling too synthetic and takes you out of the experience. Every VR demo had their own HRTF algorithms to show off, and I felt all of them did a decent job in making things feel as if sounds were panning around your head. Luckily, while catching up with Mark Kilborn from Raven, I ran into Scott Peterson from Retro, and he invited me to attend the Impulsonic Phonon demo. They have created products that handle binaural audio, occlusion/diffraction as well as automatically calculating reverbs for spaces. Talk about a HUGE time saver! Instead of manually adding reverb volumes for spaces and tuning them, you open Unity, define some parameters, and it automatically “pink noises” the spaces to determine accurate reverbs for the spaces. It is still in it’s infancy, but the results were by far the best I’ve heard for this type of system. The reverb was a bit halted, but that would be easy to adjust with global sliders, and the team is very open to feedback from users. If you are working on open world games, or games with complex geomoetry, this would save WEEKS OR MONTHS of work for a sound team going into maps to fill them with reverb volumes and settings. 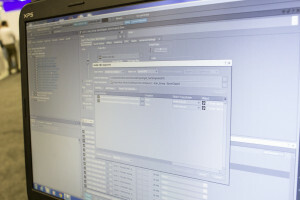 FINALLY, some steps are being taken to better integrate DAWs and implementation tools! I was fortunate to experience the Nueno/Wwise workflow integration firsthand. It’s a fairly basic system, but it is an excellent start for sound designers. Essentially, you can export directly from Nuendo into your Wwise project. 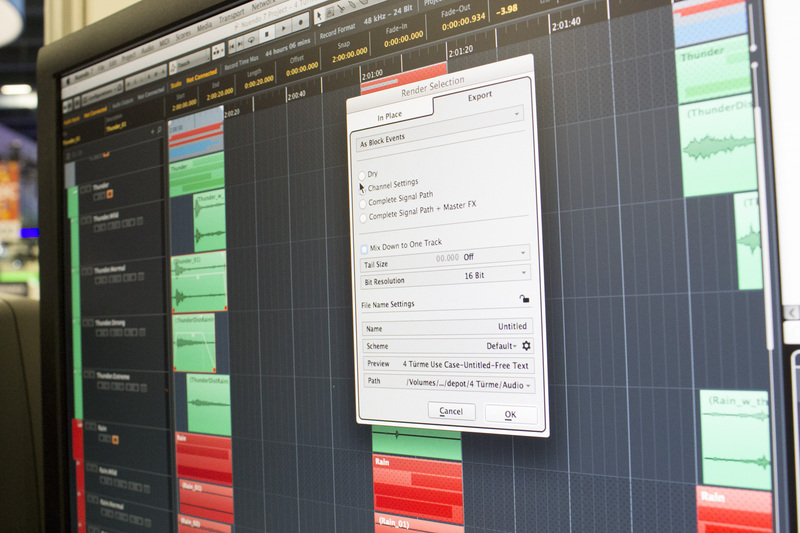 Then, if you decide to make edits to sounds in your Wwise project later, you can select the Wwise asset and choose to open the Nuendo session at the exact point the asset was made. This allows for very quick iteration and edits on assets. It would be even more useful if you had a large team using a server based system and everyone was using Nuendo! Imagine being able to edit any asset that any team member created directly in the sessions they used. Obviously, this isn’t feasible for everyone considering the costs of unified Nuendo systems, but it is a great start. In the future, I hope to see even more integration with mock up samplers in Nuendo able to export to Wwise so sound designers can prototype things and have them work perfectly in Wwise. Regardless, it’s refreshing to see the blending of creation and integration take a big step forward! Watch the demo video below to see it all in action! One other thing we learned from the Wwise team is that they have a way to integrate Wwise into Unity in only a few minutes! I’ll be following up and making a video on how to do this! Every morning bright and early, as the sun begins to rise and as life returns to the once cacophonous city, the Game Audio Podcast hosts a gathering at Sightglass Coffee. 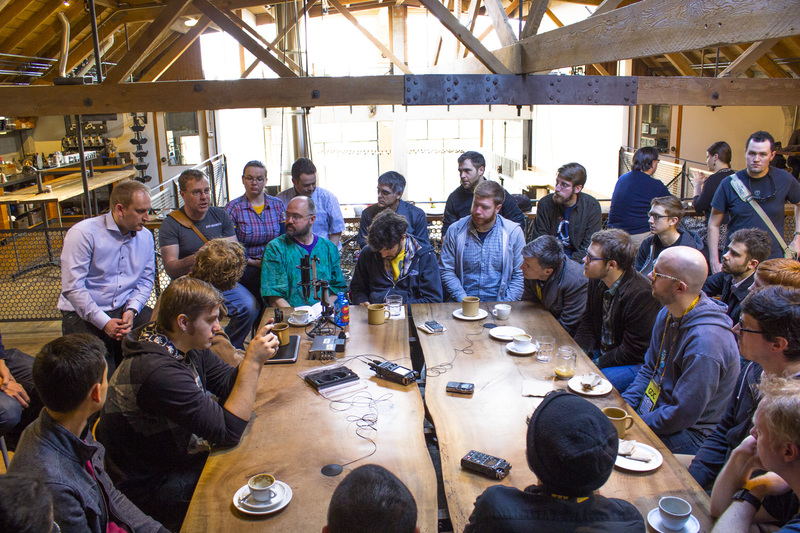 As the clock strikes 7:30 am, and the smells of artisan coffees fill the air, a large group of audio directors, leads, and amateurs alike all gather around a table to discuss GDC as it relates to audio professionals. This is an ABSOLUTE MUST ATTEND MEETING if you are in any way related to game audio! It’s a meeting of the minds for many of the best in the industry. 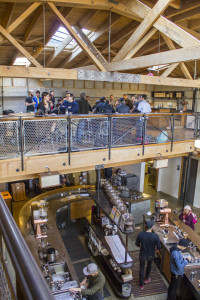 The buzz you get is not just from the delicious coffee, but from the collective energy of audio professionals amplifying each others passion for audio. 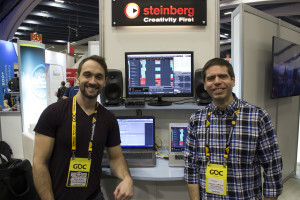 I met a composer for Warhammer, a team creating a C# interface to allow PDsound live during gameplay, one of the students responsible for the successful free Weapons kickstarter, audio directors, and many more excellent connections there. If you are in game audio, then skip out of the parties a tad early and be sure you come to the Game Audio Podcast meetups! I guarantee you it is the best audio meetup at GDC! 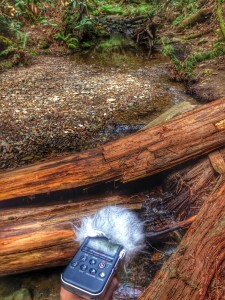 ALWAYS CARRY A PROFESSIONAL AND PORTABLE AUDIO RECORDER! I was told a story by my friend and killer sound designer Scott Lawlor. When an audio person is hired at Sledgehammer they are given a Sony M10 and told to keep it on them at all times. The M10 is a very quiet and compact recorder that beats the HELL out of the Zoom H2 and H4 recorders. If the Sony M10 is good enough for David Farmer who did sound design for The Lord Of The Rings then it is good enough for you! I have learned that the best audio recorder to buy is the one you are most likely to carry around, have on you at all times and use as often as possible! Some bulky systems may get you 8 pristine channels of audio, but these are only useful for planned audio sessions. The Zoom H6 is great as well, but is just a tad too large to always have in a bag or pocket. During my SF trip I recorded the ocean waves, rivers, sea lions, dogs, and the Bart train ALL because I had a professional recorder that’s small enough to be on me at all times! So, do yourself a favor and go buy a Sony M10 while you can. I don’t know of any other recorders at this quality, price point, and compact form. I also recommend some ear buds to help position the recorder. Again, any high quality headphones simply ruin the portability and convenience factor. This is my audio recorder. There are many like it, but this one is mine. My audio recorder is my best friend. It is my life. 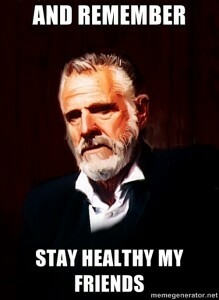 I must master it as I must master my life. My audio recorder is human, even as I, because it is my life. Thus, I will learn it as a brother. I will learn its weaknesses, its strength, its parts, its accessories, its polar patterns and its SPL limits. I will keep my audio recorder clean and ready, even as I am clean and ready. 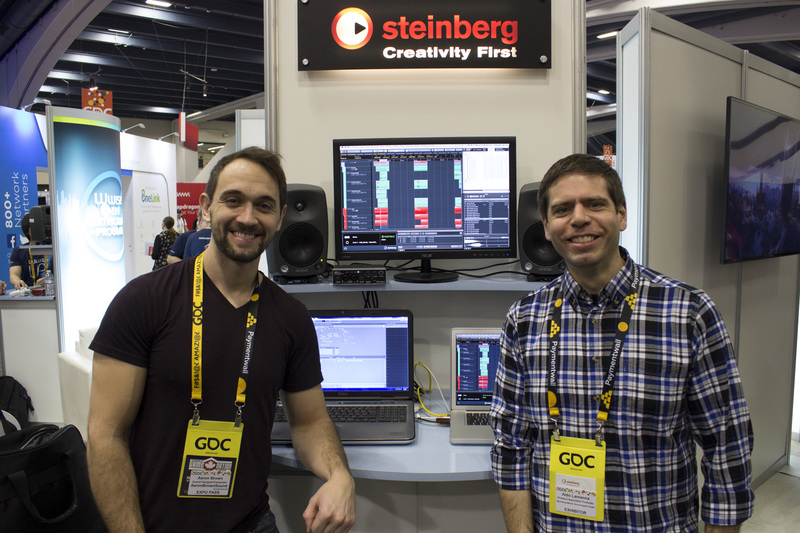 Take a listen to some raw source I recorded in San Francisco during GDC! You are NOT a super hero! 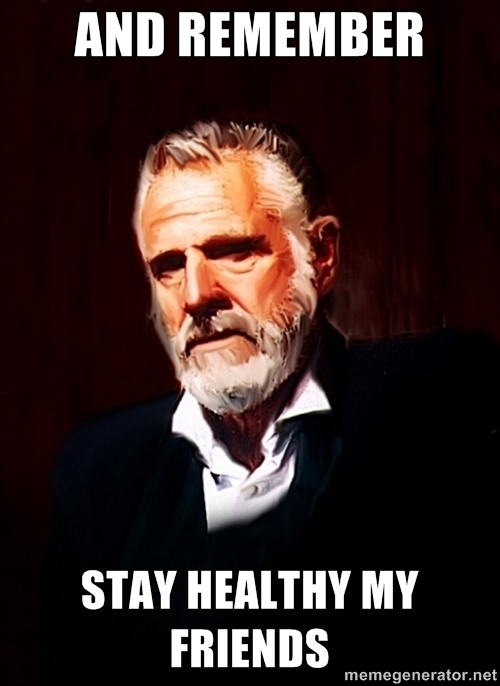 Hydrate, eat meals at normal intervals, get some sleep and MOST importantly WEAR COMFORTABLE SHOES! Pushing too hard WILL catch up with you.Carry water and snacks for the times you get too busy to actually have a meal. Wearing your coolest shoes may seem like a good idea… However, I have friends that tracked their steps and it ranged from 12,000 to 20,000 steps EVERY DAY! Don’t tear up your feet on the first day and regret it the whole week, wear shoes you can walk a marathon in!! Sleep…. well….. do your best to call the nights around 12:00-1am most of the nights. Nothing productive has ever occurred for me after 1am anyway, though, I did have a blast at the Microsoft party! It may be a good idea to bring hand sanitizer as well. Many people got dreadfully sick from what is now being called the “GDC Plague”. It’s easy to treat GDC like a games industry Spring Break, but remember that you paid good money to attend and being mentally and physically ready for the exhausting week is in your best interest! 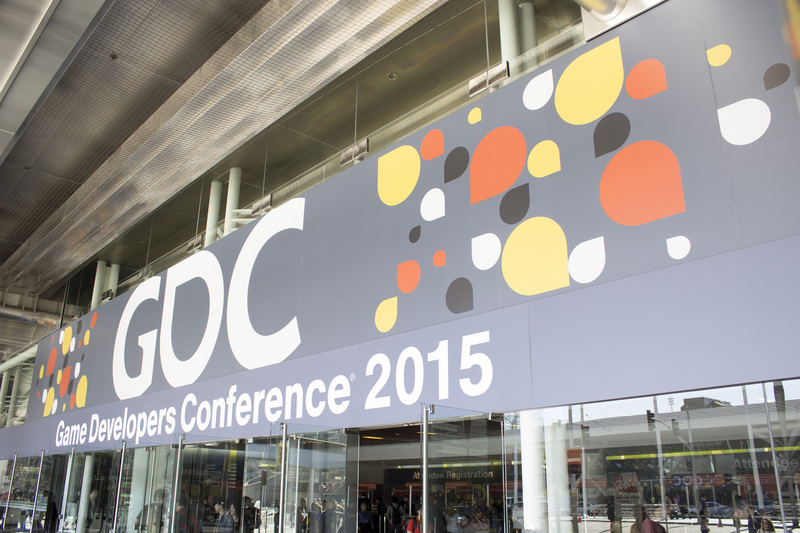 Did you enjoy your 2015 GDC experience? Any complaints or are you looking for more details? Leave a comment! Your best resource for learning about video game sound!